Sold at Red Haus in the highly desirable northwest suburban community of Royal Oak! Congratulations to our seller on the sale and for choosing us as your listing agents! 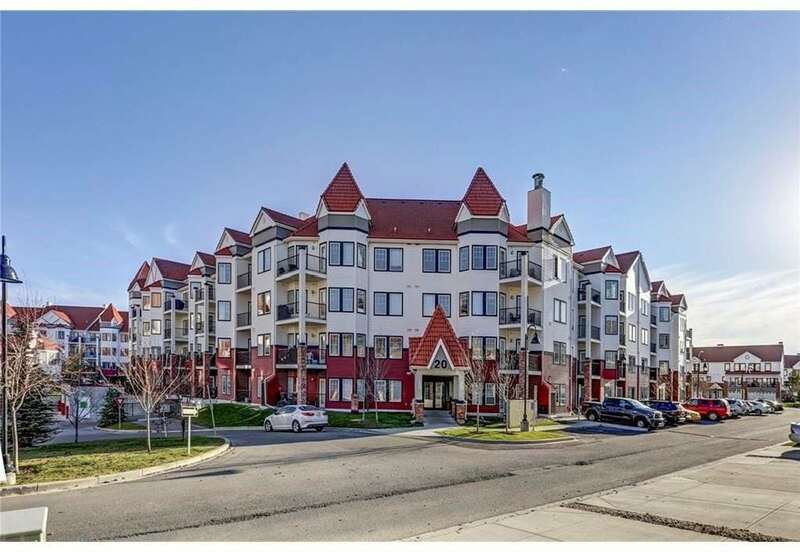 Featuring one bedroom and one bathroom across 604 square feet of living space, this condominium is the perfect buy for a young professional, new couple or first-time home buyer! Located at 20 Royal Oak Plaza NW near the Royal Oak Shopping Centre, living at Red Haus is convenient to say the least. Restaurants, shops and services plus department stores like Walmart are found across the street. This location is also ideal for those who frequent the mountains to the west. Leaving the city limits is easy to do via Stoney Trail when living in Royal Oak. 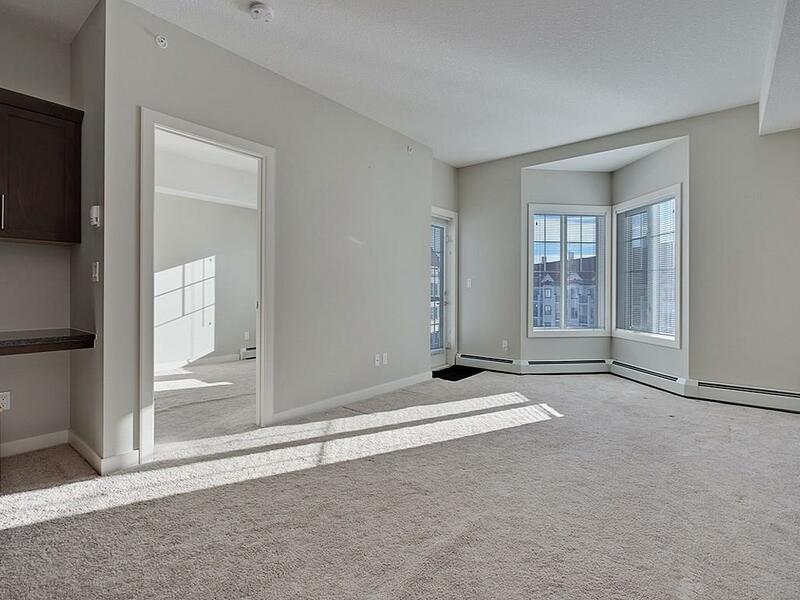 If you desire a low-maintenance condo with tons of nearby amenities, this single-bedroom, top-floor unit in the Red Haus development should be of interest for you. Inside you’ll find a well-lit living area that flows into the kitchen. 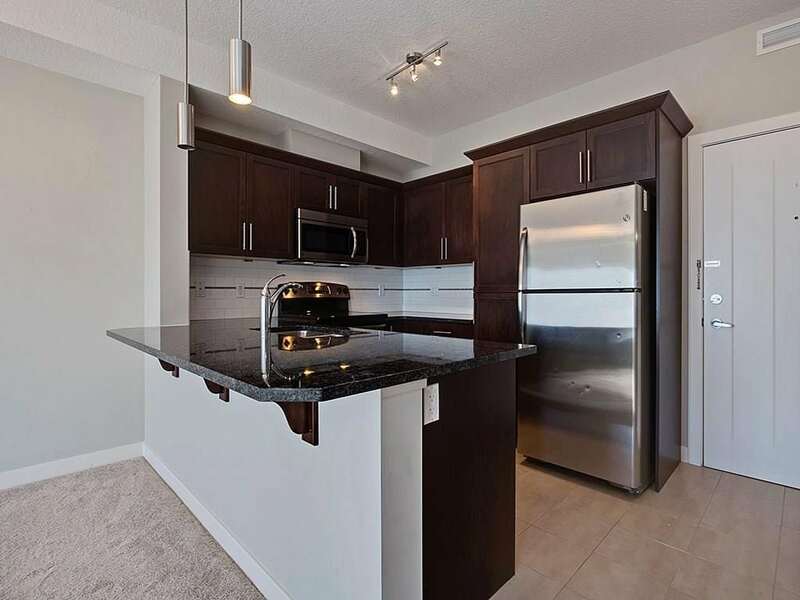 This important space has rich cabinetry, stainless steel appliances, a large breakfast bar and granite countertops. There’s also a nearby computer station with granite countertop, perfect for your desktop or mobile device. 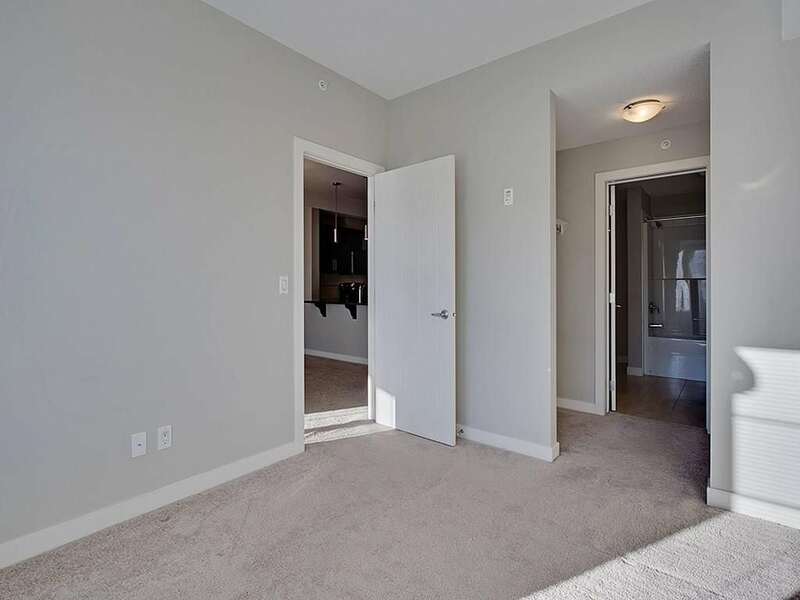 The master bedroom has a walk-through closet to the bathroom, perfect for entertaining guests. In-suite laundry is included with a stackable washer and dryer. Outside, the balcony is reasonably spacious and has a barbecue gas line for all your BBQ’ing needs. Underground parking, a fitness centre, common gathering spaces and interconnecting pathways are some of the building amenities offered by Red Haus. 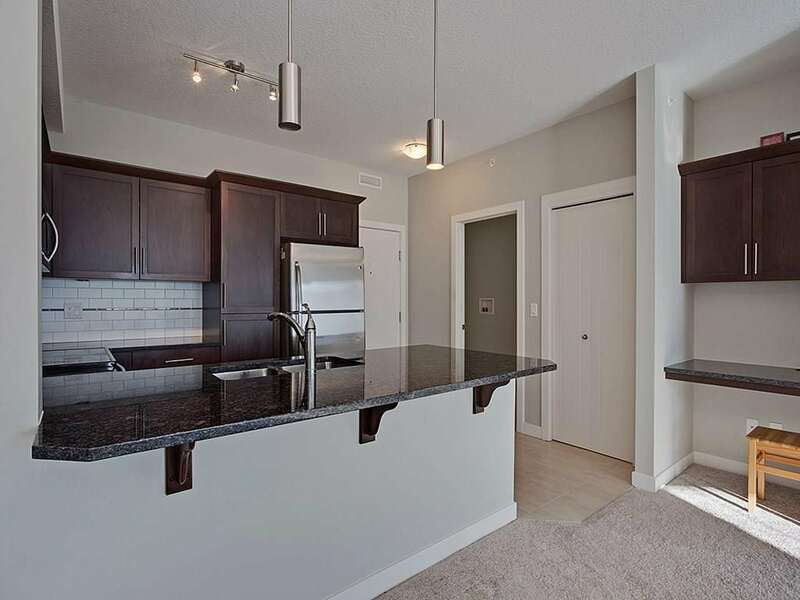 Questions about Royal Oak Condos? With years of experience in helping people buy and sell homes in Royal Oak, I promise to provide you with the best service and advice while making sure all your needs are met – every step of the way. 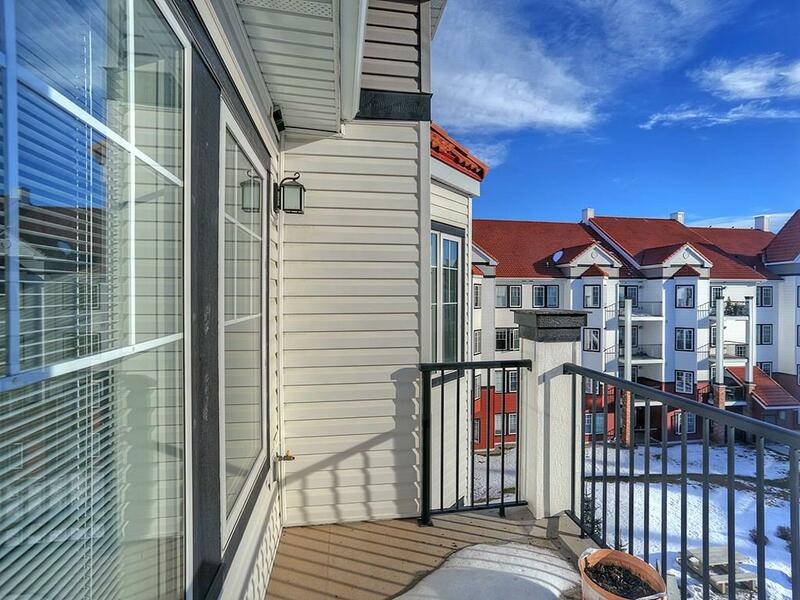 Call me anytime at 403-370-4180 or send a message below and I’ll get back to you quickly, if not immediately. I am looking forward to helping you accomplish your real estate plans in Royal Oak!